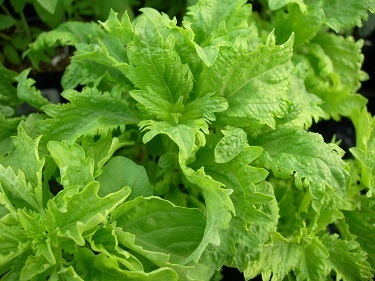 Growing fresh herbs and vegetables is much simpler than it may seem. The good news is that fertilizers and all of those nasty pesticides are unnecessary. The popularity of herbs is due to the fact that they take little space and can be grown in just about any size pot and are often used as an indoor plant while maturing. If you are just starting out growing your own herbs, the basic essential herbs for cooking are: basil, chive, dill, oregano, parsley, sage, rosemary, marjoram and thyme. These herbs can be grouped in "classic" herb gardens and can be incorporated into flower beds or vegetable gardens. There is nothing better than having fresh herbs available to you whenever you need them. Herbs can be harvested during the growing season for your daily use. At the end of the growing season, they can be harvested for drying and stored for use in the months when fresh herbs aren't readily available. Save seeds from the dried herbs to propagate the following year. Organic vegetables are not quite as easy to grow as herbs, but the end results are very favorable. Most organic vegetable growers do it for three reasons: taste, enjoyment and saving money. More and more beginner gardeners are realizing that a small investment of money can bring an annual savings of ten times the investment amount.